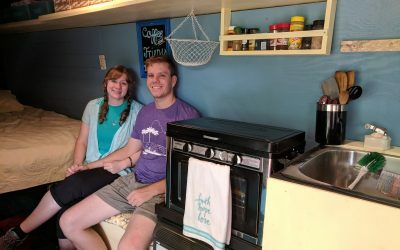 This young Tennessee couple is all-in for tiny living. They purged just about all of their possession and Rachel quit her job last week! Now they plan to hit the road in their yellow Sprinter van to pursue an active ministry focused on improving others’ lives. The Firefly resulted when three tiny house industry experts conspired to build a utilitarian, practical, affordable tiny house. It retails for $28,000! It offers one-floor living and SIPs construction with high-R-value insulation. See one at the Mid-Atlantic Tiny House Expo in Maryland Oct. 6-7. Brynn Burger has lived tiny with her family of four and their dog for over a year. 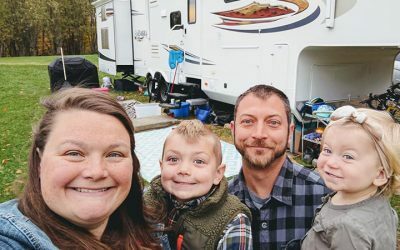 This former teacher now earns a living writing about parenting, downsizing, minimalism, road-schooling, living tiny, and raising an extreme child. Fabricator will bring his master bathroom shipping container to the October show! 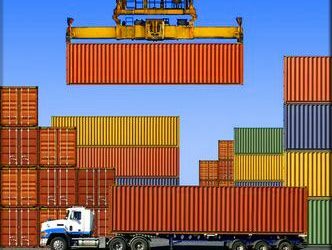 Tim Homan of Xtreme Fabrication and Powder Coating will bring a 20-foot shipping container containing his future master bathroom to the Mid-Atlantic Tiny House Expo, Oct 6-7, 2018. 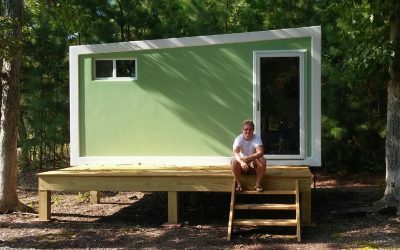 He is building a tiny house for himself out of shipping containers, and the master bathroom is the first room to be completed. When the project is completed, Homan said it will look kind of like a spaceship. 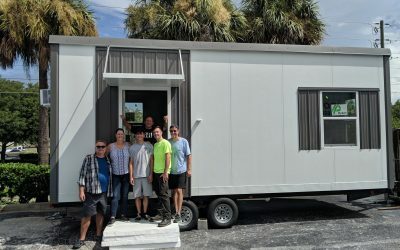 In June, NOAH announced that Koala Financial Group agreed to earmark $500M in financing for tiny home construction in all 50 states and multiple foreign countries. Under the terms of the program, tiny house builders must sign up in advance and be vetted by Koala. Buyers then apply to Koala for loans. 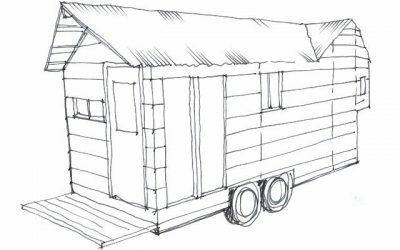 Three years ago, Malcolm Smith, a designer with Wildwood Tiny Homes, was at a crossroads. He was making good money in a high-pressure sales job in Midtown Manhattan, but he was miserable. 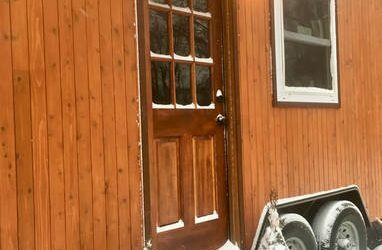 He built a tiny house he now lives in, quit his job, got engaged and launched Wildwood Tiny Homes. Today he is very happy with the improved quality of life living tiny has afforded him. 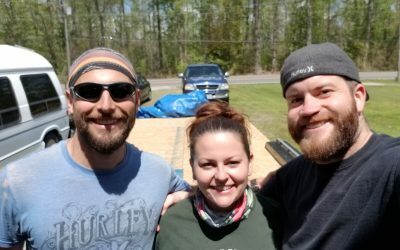 A former corporate guy and a combat veteran launched Robin Hood Project to build and sell tiny houses, “give back” some of its proceeds to charities, establish Airbnb campgrounds in Georgia and Virginia, and give away a tiny house to a deserving veteran who they also will employ at Robin Hood Project. 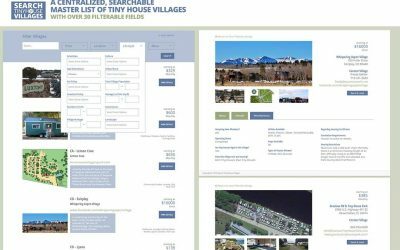 You can see their first build at Mid-Atlantic Tiny House Expo, May 12-13, in Fredericksburg, Virginia. Bayside Tiny Homes of Mathews, Virginia, custom builds tiny houses using SIPs and fiberglass exterior cladding because they are very light and strong. Bayside is a SIPs manufacturer. SIPs consist of an insulating foam core sandwiched between two structural facings, typically OSB on the exterior and drywall on the inside. Bayside puts fiberglass on the outside and a fiberglass-wood composite on the inside to form a weather-tight, extremely strong THOW shell.